In 2008, the desire to host a fitness retreat made her think of doing a fitness instruction course. Being a fitness enthusiast all her life, hosting a weekend fitness retreat was something she had always wanted to do. And the idea of becoming a Fitness instructor was born. Her name is Evonne Mudzingwa, owner of Eve’s Fitness Studio that has transformed the lives of many people’s health since 2008. “The opportunity to train came when I bumped into a then Bahrain-based Lesmills Fitness instructor, Prosper Mazorodze. Prosper introduced me to Lesmills Bodycombat, a new group fitness programme that was choreographed mixed martial arts and was not yet being offered in Africa. I loved the fact that it was completely different and not offered anywhere in Africa. “So in September 2008, I took a leap of faith and headed to Malaysia to embark on what I just thought was a means to a fitness retreat but which in fact became life-changing,” the 44-year-old trainer said. Mudzingwa started by renting a studio at a gym in Borrowdale Brooke in January 2009 and introduced Lesmills Bodycombat, which was dominated by the ladies as men just generally didn’t seem to take aerobic classes seriously. “I built a steady female clientele and did a case study on their reasons, needs and focus when they came to the gym. With that information I decided to open a ladies only fitness centre that focused and catered for women,” she added. In March 2009, she discovered a run down, 25-year -old pre-fabricated rugby changing room at ZB Sports Club in Vainona. “It was the perfect location and over the past 10 years I have slowly worked on it as best as I could give the statutory renovation limitations. “Eve’s Exercise Studios, now rebranded to EFS is named after the Biblical Eve. It was ladies only because I wanted to provide a no pressure training centre with a personal touch. A place where the average self-conscious Zimbabwean woman could train without worrying about being judged,” she added. Last month, Fitness Studios celebrated its 10th anniversary by hosting a ladies only 10km race and fitness battle. The highlight of the 10th anniversary was the launch of “EveActive Apparel”. From a small ladies only fitness studio 10 years ago, EFS now has unisex classes and still operates at ZB Sports Club in Vainona and two more locations, FBC Old Hararians Sports Club in Milton Park and Standard Chartered Sports Club in Marlborough. In 2010, Mudzingwa’s dream to host a fitness retreat finally materialised beginning with the Eves Bootcamp that was held at Madrugada Lodge in Bvumba. “We were a group of 10 ladies, and it went well. We had four days of four hours of fitness training, starting each day with a 5.30am 5km run and ending the day with a sunset yoga session,” she said. Meanwhile, the EFS continued to steadily grow in clientele and renovations slowly taking place. “It’s been a journey, from strength to strength. In 2014, in celebration of EFS’ 5th anniversary I decided to host a ladies only fitness challenge with the then only other ladies only fitness centre, MixyActive. Each studio was represented by a team of 12 participants. “The teams ran, did some body strength training and tug of war competitions. The excitement and training for this competition made me realise that this could be the answer to the ladies training inconsistency. If I held these team fitness challenges every three months, it would give the ladies a goal and motivation to continue training throughout the year. 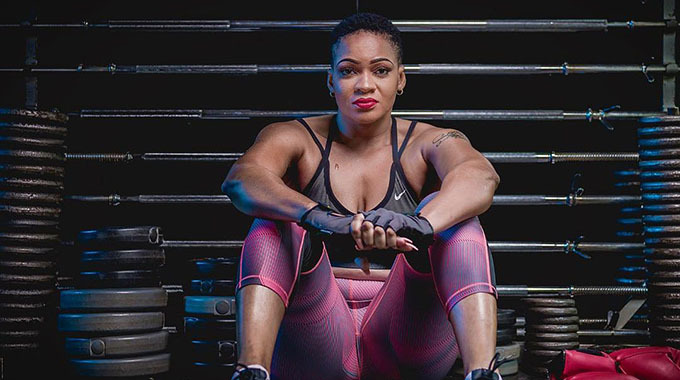 Eve’s Fitness Battles was born,” she revealed. The fitness battles have partnered and been sponsored by reputable brands namely Bonaqua, Medtours Africa, First Mutual Health, Road Angels, Colcom, Zol to name a few. First Mutual Health is the Official Eves fitness battles partner to date. EFS now provides wellness programmes for corporates. They conduct fitness sessions at corporate clients’ offices. Like Bonvie Medical Aid, Ecobank, Access Finance, Econet, PSMAS, Pacific Cigarette Company and PSI. They also facilitate corporate wellness and team building events. The latest addition to their portfolio is Eves fitness training, a training programme for fitness instructors.